Female Food Blogger Hands Taking Photo Of Sandwich Using Smartphone. 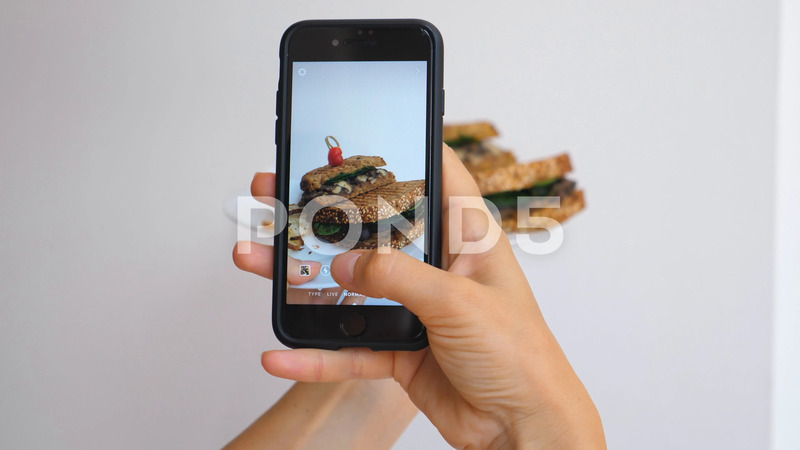 Description: Female Food Blogger Hands Taking Photo Of Sandwich Using Smartphone. 4K.